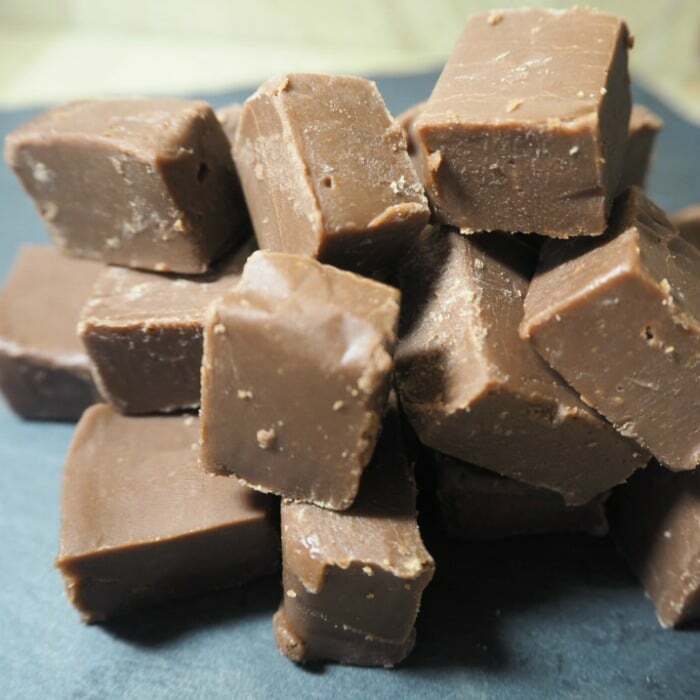 Nutella fudge is something that I’ve been meaning to make for at least the last two years but I’ve never actually got round to making it though because there are at least a million Nutella fudge recipes online (me, exaggerate?) and each one of them seems a little different. I’ve read comments on posts where people have had a disaster with theirs not setting and I’ve also read comments where it hasn’t been Nutella-y enough. Wasting perfectly good Nutella is not something my children would forgive me for so I just never ended up making it. 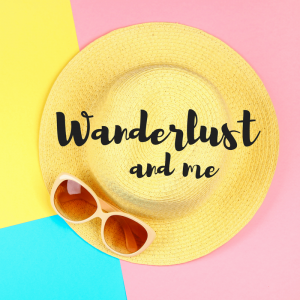 But when I was planning my Christmas posts (waaay back in August would you believe) I decided that this year was going to be the year when I would finally make it and I’m so pleased I did! I’ve made it twice since the first time I tried it and each time, everyone has LOVED it! Line a baking dish with greaseproof paper to help you get the fudge out easier when it’s ready. Add the chocolate chips, condensed milk and butter to a pan and melt them together over a low heat, stirring constantly. When they’re totally combined, add the Nutella a dollop at a time and stir it into the mix. Pour the mix into your lined baking dish being as quick as you can as it does set quite quickly. Pop it in the fridge to set – we left ours overnight and it was perfect in the morning. Use a sharp knife and cut the block of Nutella fudge into strips and then into small rectangles trying to touch it as little as possible as your warm hands could start to melt the fudge. It might be better to pop it back in the fridge for a while once you’ve chopped it up before doing whatever you want to do with it – I put mine into small sellophane bags to be given as little gifts when I hand deliver some of my Christmas cards. 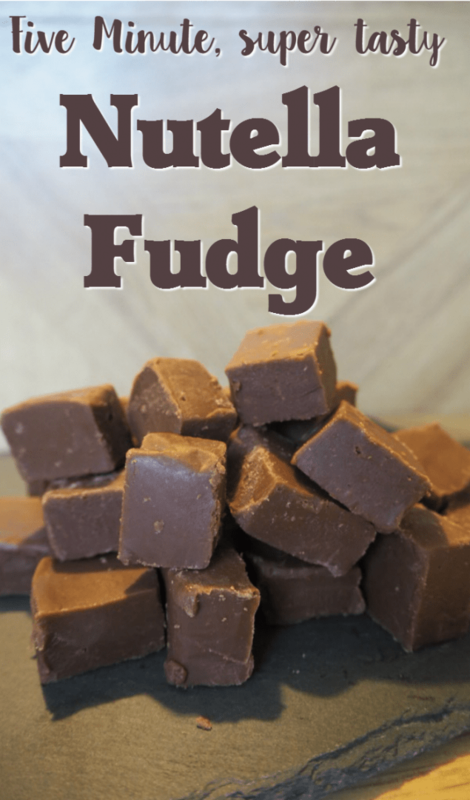 If you liked this recipe for Nutella fudge you can save it to your own recipe box if you use Yummly – just click on the YUM icon at the bottom of this post. How many does this make please? The fudge looks wonderful. Can you make it with supermarkets' own version of Nutella, please? Could I melt the ingredients in the microwave? Like chocolate truffles? What sort of size baking dish? How long does it last for? I want to make it on my days off before Christmas so want to check it will last until Christmas Day. 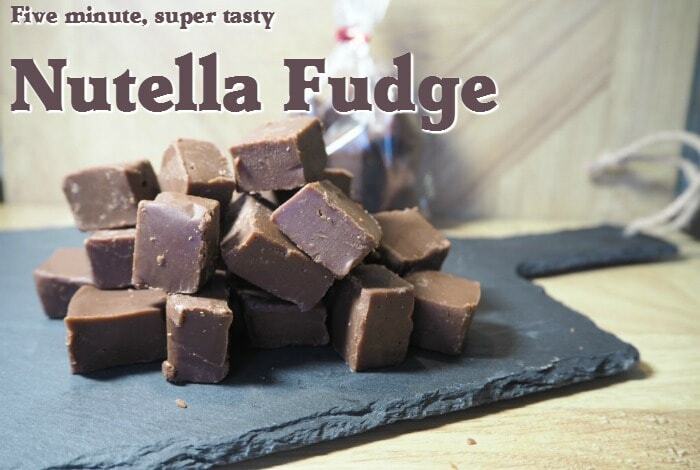 I love fudge and I love nutella – great combination! Oh, I think my boys would LOVE this. Looks so good! 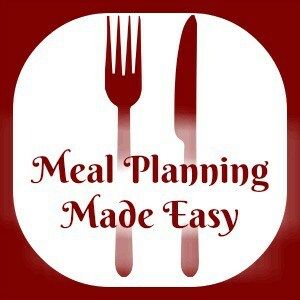 Do you use plain or milk chocolate? I can see these as teachers' presents this year. Oh very nice. Perfect for homemade Christmas presents.